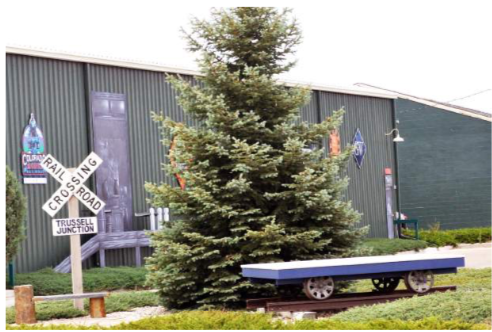 Longtime museum supporters may remember that in October 2010, we placed a “Speeder Cart” out at the street corner next to the parking lot and Great Western track. The newsletter containing that article is on the website. It’s interesting to see how much the little tree has grown. 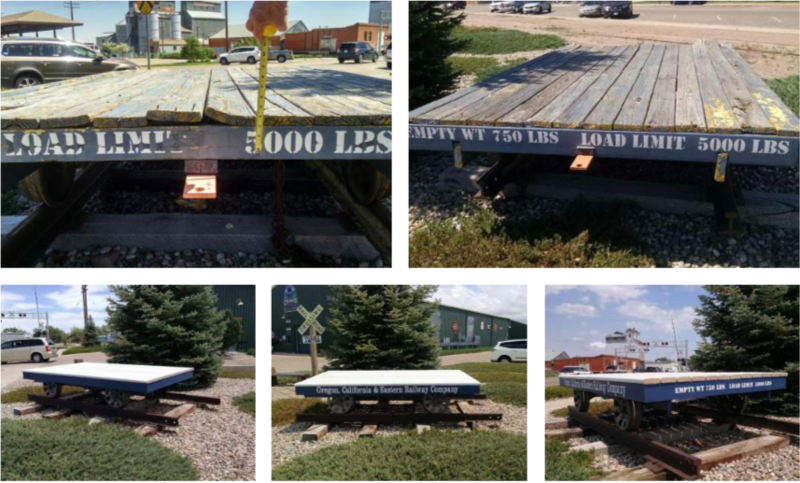 While the cart might seem at first to be just another piece of ordinary railroad equipment, it gives us a way to identify the Oregon, California and Eastern Railroad. In 2015, we dedicated the location as “Trussell Junction” that honors museum founders David and Micke Trussell. 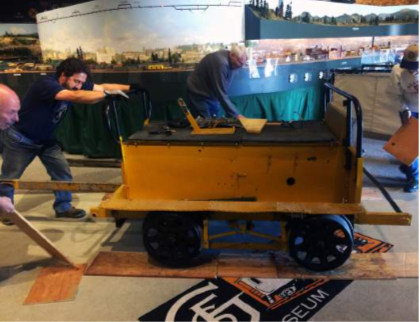 After seven Colorado winters, the cart was starting to look a bit “weathered”, so several museum volunteers jumped at the chance to get some sun and work outside for once. Robert Meis was the Project Manager and carpenter. Brian and Brent Milota donated the Trex decking material. Steve Palmer tackled the finishing and painting; complete with OC&E colors and lettering. If any readers have ideas of what we could do, let a museum staff person know. Perhaps we could obtain some MOW tools, like spike mauls and tie tongs, along with some track materials, and firmly attach them to the deck. Does anyone have those items laying around in their garage? Before the work started (top row) and after it was completed (bottom row). Rotation of exhibits is always needed at any museum, and CMRM is no exception. 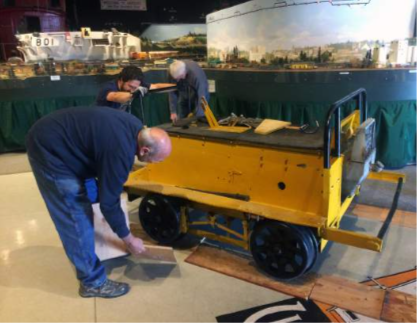 On April 23, the Monday Mainte- nance Crew prepared the MOW Speeder to be moved to storage. 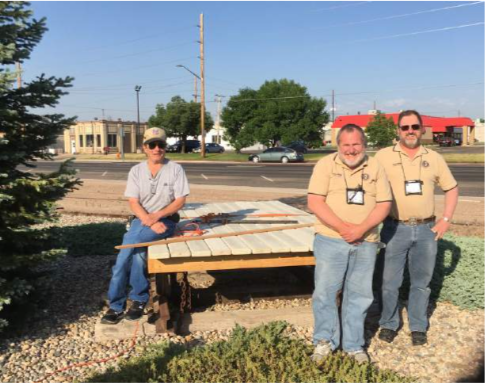 Here volunteers Al Rodi, Norm Wolstein, and Keith Woolf put boards down to protect the floor, then pushed it to the large door at the front of the building. The speeder had been on display next to the Dispatcher’s Office since the early days of the museum. It will be back sometime in the future, but for now it is safely stored in the South Building.